Ready or not here it comes… Digital Dealer returns to fabulous Las Vegas August 8-10, and early registration ends Friday, June 24. Digital Dealer is the premier conference for car dealers who are invested in using the internet and technology to grow their business and improve their profits. You can choose from more than 100 educational sessions, marketing partners, and peer sessions to help you stay on top of the latest digital trends and marketing developments. 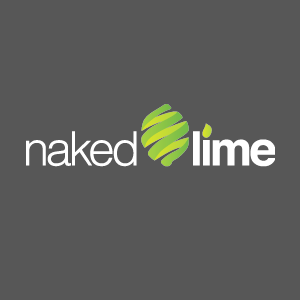 Naked Lime will be ready to take your questions on the show floor in Booth 721. Our very own Ryan Zwerneman will also be leading a session you won’t want to miss. Learn the versatility of Facebook Custom Audience Campaigns. See how lists that are already in your dealership can be used in new ways. Hear more best practices and tips to help make social media profitable. Ryan is our Field Marketing Consultant in the Tulsa, OK area. In his 5 years in automotive marketing, he has worked as a specialist for email and direct mail services, and managed teams centered around SEO, SEM, Social, Reputation Management, Design, and Content Writing. He collaborates with dealers to assist in market share acquisition, and consults in-store on their overall marketing processes. As a featured speaker, Ryan is able to offer you a registration discount. Simply enter code DD21RZN to save $100 off your registration fee. We’ll have more exciting news to share as the show approaches, so check back often. We can’t wait to see you!